Get ready to spread your wings and wag your tail! 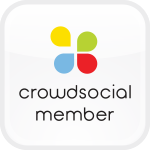 On June 14, 2016, SHOUT! FACTORY KIDS invites families and kids to take flight with the highly-anticipated summer movie adventure, QUACKERZ on two-disc Blu-ray™ 3D Combo Pack(Blu-ray 3D and 2D, DVD and digital), DVD, iTunes and across all major VOD platforms. The Blu-ray 3D Combo Pack allows viewers to enjoy this fun-filled animated feature on the platform of their choice and includes spectacular movie presentation on Blu-ray 3D, 2D and DVD. Catch QUACKERZ in select cinemas in Los Angeles on Friday, June 4, 2016. New CG-animated feature QUACKERZ is a colorful family movie, bringing to life a unique tale of unlikely heroes with action, comedy, heart and even a bit of romance! Brimming with whimsical characters, vibrant animation and high-energy fun,QUACKERZ features a flock of all-star voice cast, including Robbie Daymond (Nickelodeon’s Get Blake! ), Michael Gross (Family Ties), Enn Reitel (The Adventures of Tintin), Andrea Becker (Storage Wars: New York), Alanna Ubach (Legally Blonde), Bruce Nozick (The Last Ship), Jesse Corti (Beauty and the Beast, Frozen) and Jimmie Wood (The Wild Thornberrys). QUACKERZ is directed by Victor Lakisov and executive produced by Vsevolod Zorin, Ruben Atoyan, Oksana Brovchenko and Cai Jin. A production of Rome Animation & Film Studio and A-VFX Studio. I actually had never heard of this movie but it sounded like a cute and fun movie. This movie is great and it is fun. Quackerz is a movie that is great for the entire family. The graphics is great , voice acting and the storyline are fantastic. I think this is one that will be watched over and over again in the future. 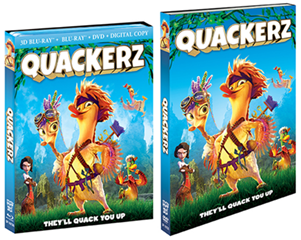 Quackerz will be available on DVD and Bluray on June 14th 2016.